So, to put a nice ribbon on this week's discussion about 1x and multiple chain ring drive train options, I wanted to talk a bit about cassettes. The chain line notwithstanding, there is one other issue with 1X that many don't stop to consider. 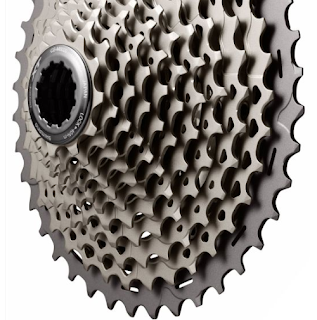 The number of rear cogs in a cassette has steadily climbed upward since 1990 when Shimano introduced 8 speed cassettes. Nowadays, 11 and 12 cogs in a stack are not uncommon. Why? Where did the impetus for going with more cogs come from? Was it to provide a wider range of gearing? No. The overall range for gearing hasn't changed significantly for any bike since that time. Then why do we have more cogs? You have to look in the mirror for the answer. it's because you are the "motor". Humans don't have a lot of power, so what we do have has to be doled out in an efficient manner. 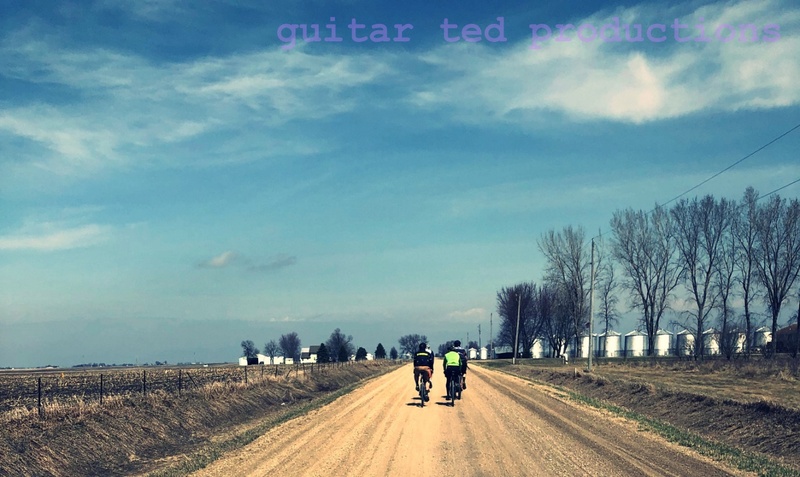 We see it in how we analyze our power output to the watt, how we interface with our machines based on that power output, and in how meticulously we set up our bikes in order to eek out the best possible power output. So, the move toward more cassette cogs was made to help keep our cadence in a range that is best for our power output. Ideally, in a perfect world, you would have an ideal cadence which produced the best power over a period of time and that would never vary even though you shift gears to different ratios. Therefore, the jumps between gears is critical to maintaining a high level of performance. More cogs can/should mean less change in cadence when shifting from one ratio to the next. That's why we have 11 speed drive trains. But what about 12? Well, that was done for 1X where all that mattered was the range of gearing. You saw it in the press releases and initial "reviews" of that system. However; you will note that without a way to shift in front, the only way to cover that range was to add an extra cog and have big jumps between gearing. In terms of jumps between gears, 1X is sub-optimal. Not only that, but the overall range might have to be adjusted up or down, as it were, and the only way to do that is with a front chain ring swap. You know.......basically manually shifting gears, only by doing it the hardest way possible. I just wanted to conclude this little series by once again stating that I do not "hate" 1X, nor do I wish for it to go away. It has its places. But that said, please keep it away from my gravel bike. Well, I alluded to something going on with me in a cryptic manner a few days ago. Now you know......I signed up for a gravel event. 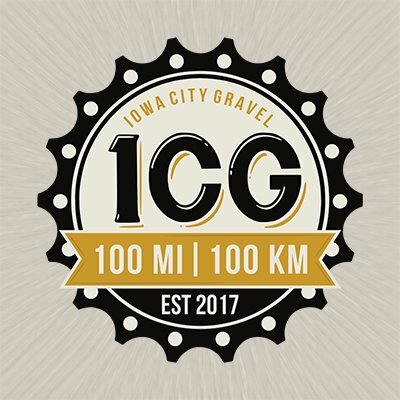 This time it is the ICGravel event which is being held on October 27th in River Junction, Iowa. This will be year 2 for this event and they have two course length options of 100 miles or 100 kilometers (63 miles for you non-metric folk). I signed up for maximum punishment, of course, so I will be out for the hundy that day. This is kind of an interesting event in that it happens at a time when you don't think about a gravel event, but doing one makes so much sense this time of the year. Yes......it could be wet, and in their inaugural year, it was, and it looked pretty sucky. But Fall riding rules if it is dry, and I like that time of year to put in big rides, so this makes sense to me. They have registration open, so if you'd like to join me, please do, and I bet it will be a rousing good time. No matter what the weather. I'm hoping that I will actually live up to that previous statement and really have a good time. But to do that, I have a lot of work to get going on. I need miles now, and I need to work consistently. Fortunately the weather has straightened out and the next ten days look great, so I look forward to getting on the right track and getting good and ready for this day on gravel in late October. Gravel this, gravel that. You can hardly keep up anymore these days. I remember when WTB was going to make the Nano 40 tubeless ready and that was the very first gravel specific tire you could get tubeless. Seems like eons ago, but it wasn't but maybe five years ago (?). Crazy. All that to say that if you weren't aware that Michelin had a gravel tire, well, you could easily be forgiven. Why would you know? These things pop up on a daily basis anymore. But in reality, these have been out for a while. I waited until the 40's came out as they first were out in a 35 or 38, I can't recall right now, but that wasn't what I wanted. So, I waited for these and we'll see how they go. Michelin tires always impressed me when I tried their 29"er tires, so I am expecting big things here. I will say that the tread pattern looks susceptible to being a "gravel flinger" type tread, but time will tell. They could be the bee's knees for all I know. Tubeless ready, of course. What tire shouldn't be tubeless ready for gravel? As far as I am concerned, all bicycle tires should be tubeless ready. At least higher end ones. I plan on sticking these on the Raleigh Tamland Two for the time being, but maybe they will be going on a different wheel set. This will depend upon how tight they fit. My Irwin wheels fit tires really tightly, so the Michelin may be a "no-go" there. If so, I think they will end up on my White Industries/WTB wheels. Stay tuned for more on the Power Gravel tires, which I purchased myself, by the way, just to be up front about that. That's all for this week. Have a great weekend and get out and ride!